An innovative implant brush with a unique design for easy access. The angle of the neck provides improved access to difficult to reach surfaces of implants. The slim shape of the brush head facilitates cleaning even in very narrow areas. Soft, end-rounded filaments ensure gentle cleaning. 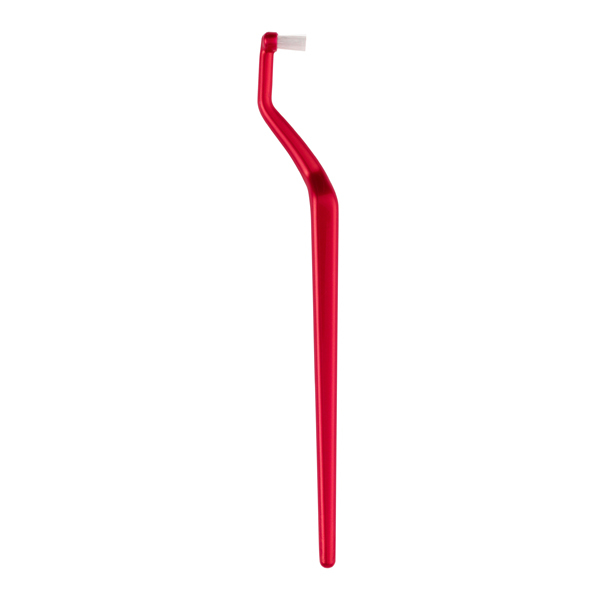 TePe Implant Care is available with two filament textures.